Jaimie Just Turned 2 Years Old! Jaimie’s birthday was September 17th. He is really growing up to be an outstanding dog! What a beautiful animal…not just staying that because he is my beloved baby boy, he really is beautiful! He has matured quite a bit in the last 6 months, especially his obedience. I have focus! Beautiful heeling and fast dumbbell returns. Love this boy! Jaimie uses his entire body…every bit of muscle…when he is in action. He is solid! 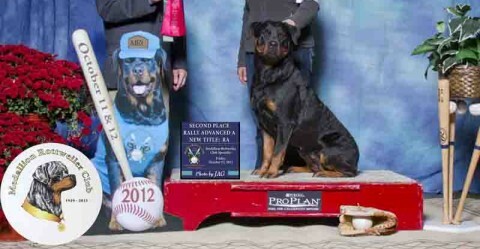 Winterfell Rottweilers is planning puppies this spring! Summer 2017, finally!